A blood test is used to measure cholesterol levels. A person's total cholesterol level includes measurements of LDL (bad cholesterol), HDL (good cholesterol), and triglycerides. Several risk calculators are available which consider a person's gender, age, race, total cholesterol, HDL, blood pressure, diabetes, and smoking to estimate their risk for having a heart attack or stroke within the next 10 years. Based on these results, your doctor may recommend treatment with a cholesterol-lowering statin drug. Heart-healthy lifestyle changes (diet, exercise, smoking cessation, and weight control) still remain the foundation for cholesterol treatment. Lifestyle management is used before, and during, drug therapy. Statins are the first choice in virtually all patients with abnormal cholesterol levels to prevent cardiovascular disease. When to start statins and what dose to use is based on a patient's risk for cardiovascular disease. Total cholesterol and LDL cholesterol blood levels rarely need to be monitored once statins have been prescribed. Lipids are the building blocks of the fats and fatty substances found in animals and plants. They are microscopic layered spheres of oil, which, in animals, are composed mainly of cholesterol, triglycerides, proteins (called lipoproteins), and phospholipids (molecules made up of phosphoric acid, fatty acids, and nitrogen). Lipids do not dissolve in water and are stored in the body to serve as sources of energy. Triglycerides are composed of fatty acid molecules. 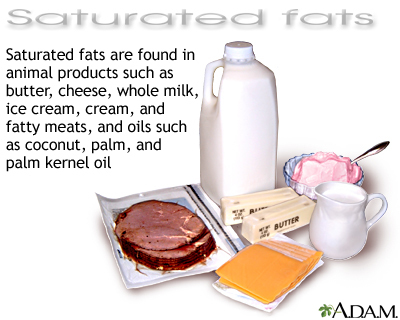 They are the basic chemicals contained in fats in both animals and plants. High levels of triglycerides, especially in combination with low levels of HDL, are associated with increased risk for heart disease, stroke, diabetes, and fatty liver disease. Chylomicrons are the largest in size and lowest in density. Familial lipoprotein lipase deficiency is group of rare genetic disorders that causes depletion of the enzyme lipoprotein lipase. This enzyme helps in the removal of lipoproteins that are rich in triglycerides. People who are deficient in lipoprotein lipase have high levels of cholesterol and fat in their blood. In the U.S., obesity is at epidemic levels in all age groups. The effect of obesity on cholesterol levels is complex. Overweight individuals tend to have high triglyceride and LDL levels and low HDL levels. This combination is a risk factor for heart disease. Obesity also causes other effects such as high blood pressure and an increase in inflammation that pose major risks to the heart. Studies consistently report a higher risk for death from heart disease with high total cholesterol levels (190 mg/dL and higher). The higher the cholesterol, the greater the risk. Peripheral artery disease (PAD) is caused by the buildup of plaque in the feet, legs, hands, and arms. It most often occurs in the legs. PAD is associated with atherosclerosis. The risk for PAD increases by 5% to 10% with every 10 mg/dL increase in total cholesterol levels. Lower levels of HDL and high triglyceride levels also increase the risk for PAD. 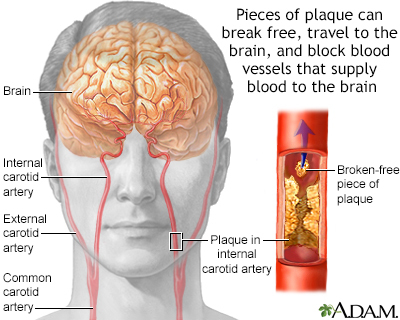 Having adequate levels of HDL may be the most important lipid-related factor for preventing ischemic stroke, a type of stroke caused by blockage of the arteries that carry blood to the brain. HDL may even reduce the risk for hemorrhagic stroke, a much less common type of stroke caused by bleeding in the brain that is associated with low overall cholesterol levels. There are no warning signs for high LDL and other unhealthy cholesterol levels. 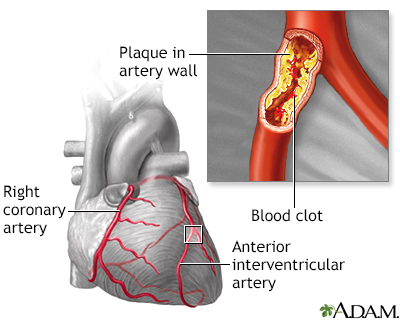 When symptoms finally occur, they usually take the form of angina (chest pain) or heart attack in response to the buildup of atherosclerotic plaque in the heart arteries. When buildups occur in leg arteries, patients may have discomfort with walking (called "claudication"). Blood tests can easily measure cholesterol levels. A blood test for cholesterol should include the entire lipoprotein profile: LDL, total cholesterol, HDL, and triglycerides. It is also possible to measure LDL levels by themselves, but LDL levels can be reliably calculated using the other values, unless the triglycerides are very high. Are obese (above the 85th percentile for weight) or have diabetes. If the child's cholesterol level tests normal, retesting is recommended in 3 to 5 years. Patients already being treated for high cholesterol may have tests periodically to ensure treatment is working and is being tolerated (especially by the liver). However the new guidelines de-emphasize repeat testing. C-reactive Protein (CRP). CRP is produced in the liver. CRP levels increase when there is inflammation throughout the body. A CRP level 2.0 mg/L or greater indicates increased risk for heart disease. CRP is measured by a blood test. Ankle-Brachial Index (ABI). The ABI test compares blood pressure readings in the ankles and arms to evaluate circulation. Measurements below 0.9 suggest possible blockage of the arteries. The ABI test is similar to a blood pressure exam but the cuff is placed around the ankles. This test is typically used to diagnose peripheral artery disease. Coronary Calcium Scan. A computed tomography (CT) scan is used to detect calcium deposits on the arterial walls. 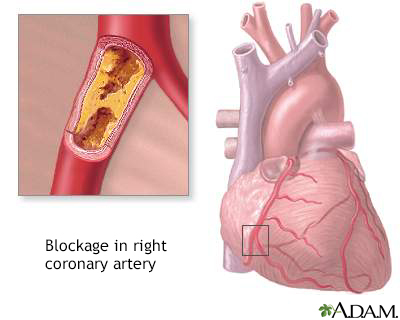 A high coronary artery calcification score (above 300 Agatston units) indicates increased risk for heart disease. Routine screening with this test is not recommended. Carotid Intima-Media Thickness. This test uses an ultrasound scan to obtain a very precise measurement of the wall of the carotid artery. If your thickness is high your doctor may prescribe drug therapy. Lp(a). Lp(a) is a lipoprotein that is associated with coronary artery disease and stroke. However, there is no proven benefit to date that lowering these levels will result in fewer cardiovascular events. If your levels are elevated, your doctor may prescribe lipid-lowering therapy. LP PLA2. Lipoprotein-associated phospholipase A2 is a marker of vascular inflammation which is associated with heart disease and stroke. If your levels are elevated, your doctor may prescribe lipid-lowering therapy. The benefit of treating unhealthy cholesterol levels is highest for those who already have symptoms or a history of cardiovascular disease. Cardiovascular disease refers to heart disease, stroke, or narrowing of the arteries to the brain, intestines, kidneys, or legs. Treating people known to have these problems is called secondary prevention. Almost all people with known cardiovascular disease will be treated with statins. Primary prevention refers to treatment of people who have no known cardiovascular disease but are thought to be at increased risk. People ages 40 to 75 years who have type 1 or type 2 diabetes. People ages 21 years and older who have very high level of LDL (bad) cholesterol (190 mg/dL or higher). This includes people who have genetic types of cholesterol disorders. For older adults, other factors must be considered. Adults over 75 years who are otherwise healthy may be a candidate for drug therapy for elevated cholesterol levels. However, careful consideration should take place for older adults who appear to have a limited life span due to other illnesses that are present. The ACC/AHA has designed a special "risk calculator" tools.acc.org/ASCVD-Risk-Estimator that health care providers can use to calculate a patient's 10-year cardiovascular disease risk. If the risk calculation seems uncertain, a doctor may consider additional factors. They include high LDL levels (greater than 160 mg/dL), family history of premature heart disease, increased lifetime heart disease risk, and sometimes the results of other diagnostic tests such as C-reactive protein level, ankle-brachial index, and coronary artery calcification score. The new cholesterol treatment guidelines are controversial in the medical community. Doctors have debated the accuracy of the risk calculator, and the ACC/AHA's abandoning its former treat-to-target goal guidelines. Some doctors feel that the calculator overestimates risk, and makes more healthy patients eligible for unnecessary statin drug treatment. The ACC/AHA's position is that individual patient preferences are an important part of the new guidelines. All treatment options should begin with a conversation between the doctor and patient, including discussing how patients feel about the risks and benefits of drug therapy. In addition, lifestyle modification is the most important component for heart disease risk reduction. As with other guidelines, recommendations are likely to change in the future when more information is available from large research studies. Fish is particularly heart protective. It contains the omega-3 fatty acids docosahexaenoic (DHA) and eicosapentaenoic (EPA), which have significant benefits for the heart, particularly for lowering triglyceride levels. Recent studies have questioned whether fish oil supplements provide the same benefits as fish. Obesity is now considered and treated as a disease, not a lifestyle issue. Doctors' understanding of weight issues has evolved. Scientific evidence has shown that weight gain is a complex process, and weight loss involves more than simple will power. What is clear is that excess weight contributes to many health problems, including increased risks for cardiovascular disease conditions. Reduced Calorie Diet. Your doctor should help you select an eating plan that will cut calories and perhaps restrict certain food types (such as fats or carbohydrates). Your doctor may make specific recommendations depending on your cholesterol profile and other factors. For example, a low-calorie, low-fat diet can be very effective for reducing LDL levels. (Your personal and cultural food preferences should also be considered.) Your doctor may refer you to a registered dietician or nutritionist for counseling. Behavioral Strategies. Patients need to consider how to set weight loss goals, monitor weight, track food and calorie intake, change shopping habits and food storage environments, and establish fitness routines. Patients may benefit from individual, group, or telephone counseling sessions. Increased Physical Activity. Patients should aim for 200 to 300 minutes of physical activity a week (about 40 minutes a day of moderate to intensive aerobic exercise). A weight loss of 5% to 10% within the first 6 months of starting these changes can help improve cholesterol levels and other health indicators. If you have risk factors for heart disease or diabetes and do not achieve weight loss from diet and lifestyle changes alone, your doctor may recommend adding a prescription medication to your weight loss plan. For patients who have a very high BMI and several cardiovascular risk factors (such as diabetes and high blood pressure), bariatric surgery may be considered. A number of studies have found heart protection from moderate intake of alcohol (one or two glasses a day). Moderate amounts of alcohol may help raise HDL levels. Although red wine is most often cited for healthful properties, any type of alcoholic beverage appears to have similar benefit. People with high triglyceride levels should drink sparingly, or not at all, because even small amounts of alcohol can significantly increase blood triglycerides. Pregnant women, anyone who cannot drink moderately, and people with liver disease should not drink at all. Because alcohol can be toxic to the heart muscle, some patients with heart disease, specifically heart failure, may be counseled to avoid alcohol. Garlic. Contrary to popular belief, neither raw garlic nor garlic supplements significantly reduce LDL cholesterol levels. Policosanol. Policosanol is a nutritional supplement derived from sugar cane that has been promoted as having lipid-lowering benefits. However, rigorous research has not shown that policosanol has any effect on reducing LDL levels. Red Yeast Rice. Red yeast rice is used in traditional Chinese medicine. The FDA warns that red yeast rice dietary supplement products sold as treatments for high cholesterol contain the same chemicals as the statin drugs, but these products are not standardized for purity, safety, and effectiveness. Some statins come as fixed-dose combination drugs, which combine two drugs in one pill. Examples include sitagliptin/simvastatin (Juvisync), amlodipine/atorvastatin (Caduet), and ezetimibe/simvastatin (Vytorin). Statin side effects may include diarrhea, constipation, upset stomach, muscle and joint pain, tendon problems, headache, fatigue, and forgetfulness or memory loss. More serious side effects include liver and muscle damage. Patients should immediately tell their doctor about any unusual muscle discomfort or weakness, fever, nausea or vomiting, or darkening of urine color. Statins can affect the results of liver tests. Liver enzyme tests should be performed before starting statin therapy. Liver damage is a rare but can occur, particularly at higher doses. Tell your doctor if you have symptoms that indicate liver problems such as unusual fatigue, loss of appetite, upper belly pain, dark-colored urine or yellowing of the skin or whites of the eyes. A specific safety concern with statins is an uncommon muscle disease called myopathy, in which a patient may experience muscle pains and certain lab tests may be elevated. Severe myopathy called rhabdomyolysis can lead to kidney failure, but fortunately its occurrence is very rare. The risk for myopathy/rhabdomyolysis is highest at higher doses and in older people (over 65 years), those with hyperthyroidism, and those with renal insufficiency (kidney disease). Rosuvastatin (Crestor) may in particular increase the risk for myopathy, especially when given at the highest dose level (40 mg). The FDA advises that patients should not start therapy at a high dose. In addition, people of Asian heritage appear to metabolize the drug differently and should start treatment at the lowest rosuvastatin dose (5 mg) and 20mg is generally considered the maximum dose for these patients. Maximal doses of simvastatin and lovastatin also appear to increase the risk of myopathy. Statins are recommended as the best drugs for improving cholesterol and lipid levels in people with type 1 or type 2 diabetes. However, they may increase blood glucose levels in some patients, especially when taken in high doses. They may also increase the risk for developing type 2 diabetes in patients with risk factors. Statins may have some adverse interactions with other drugs. Patients should tell their doctors about any other medications they are taking. Medications that should not be taken along with statins include protease inhibitors, telaprevir, cyclosporine, macrolide antibiotics, and certain antifungals. Grapefruit juice and Seville oranges can increase the blood levels of certain statins. Fibrates, also called fenofibrates, are generally reserved for patients with extremely high triglyceride levels or patients with high cholesterol who cannot tolerate a statin drug. For many years, high doses of niacin (nicotinic acid or vitamin B3) were considered a treatment option for low HDL cholesterol and high LDL cholesterol and triglyceride levels. Research now suggests that niacin does not add to the benefit of a statin alone for reducing the risk of cardiovascular events, including heart attacks and stroke. In addition, niacin can cause unpleasant and potentially dangerous side effects. Therefore, its use has been declining. Ezetimibe (Zetia) blocks absorption of cholesterol that comes from food. It helps reduce LDL cholesterol, but not as well as statin drugs. One trial showed a benefit to patients of Ezetimibe added to statin therapy following an acute coronary syndrome. Vytorin is a combination of ezetimibe and the statin simvastatin in a single pill. Liptruzet combines ezetimibe and the statin atorvastatin in a single pill. Two drugs have been approved -- evolocumab and alirocumab. 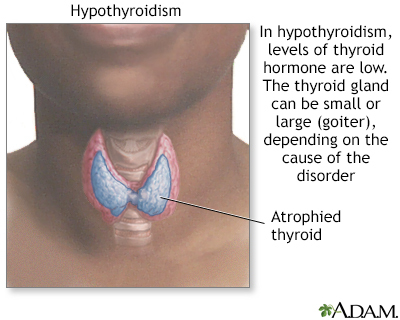 They are a type of drug called monoclonal antibodies. These drugs are quite expensive. Their exact role in the treatment of elevated LDL cholesterol levels remains to be fully determined. Currently they are more likely to be used for patients with inherited cholesterol disorders and those who are unable to take statin drugs. Cannon CP, Blazing MA, Giugliano RP, et al. Ezetimibe added to statin therapy after acute coronary syndromes. New Engl J Med. 2015;372:2387-2397. PMID: 26039521 www.ncbi.nlm.nih.gov/pubmed/26039521. Draft Recommendation Statement Statin Use for the Primary Prevention of Cardiovascular Disease in Adults: Preventive Medication. U.S. Preventive Services Task Force. www.uspreventiveservicestaskforce.org/Page/Document/draft-recommendation-statement175/statin-use-in-adults-preventive-medication1. Gaziano JM, Ridker PM, Libby P. Primary and secondary prevention of coronary heart disease. In: Bonow RO, Mann DL, Zipes DP, Libby P, Braunwald E, eds. Braunwald's Heart Disease: A Textbook of Cardiovascular Medicine. 9th ed. Philadelphia, PA: Elsevier Saunders; 2012:chap 49. Goff DC Jr, Lloyd-Jones DM, Bennett G, et al. 2013 ACC/AHA guideline on the assessment of cardiovascular risk: a report of the American College of Cardiology/American Heart Association Task Force on Practice Guidelines. J Am Coll Cardiol. 2014;63(25 Pt B):2935-2959. Leuschen J, Mortensen EM, Frei CR, et al. Association of statin use with cataracts: a propensity score-matched analysis. JAMA Ophthalmol. 2013;131(11):1427-1434. PMID: 24052188 www.ncbi.nlm.nih.gov/pubmed/24052188. Lee JW, Morris JK, Wald NJ. Grapefruit Juice and Statins. Am J Med. 2016; 129(1):26-29. PMID: 26299317 www.ncbi.nlm.nih.gov/pubmed/26299317. Lloyd-Jones DM, Hong Y, Labarthe D, et al. Defining and setting national goals for cardiovascular health promotion and disease reduction: The American Heart Association's strategic impact goal through 2020 and beyond. Circulation. 2010; 121:586-613. PMID: 20089546 www.ncbi.nlm.nih.gov/pubmed/20089546. Navarese EP, Kolodziejczak M, Schulze V, et al. Effects of Proprotein Convertase Subtilisin/Kexin Type 9 Antibodies in Adults With Hypercholesterolemia: A Systematic Review and Meta-analysis. Ann Intern Med. 2015; 163(1):40-51. PMID: 25915661 www.ncbi.nlm.nih.gov/pubmed/25915661. Pencina MJ, Navar-Boggan AM, D'Agostino Sr RB, et al. Application of new cholesterol guidelines to a population-based sample. N Engl J Med. 2014;370(15):1422-1431. PMID: 24645848 www.ncbi.nlm.nih.gov/pubmed/24645848.